The coffee culture remains a booming industry in many parts of the world, with an estimated 200 million coffee consumers by 2030 the expansion and creative process of this industry continuous to thrive. 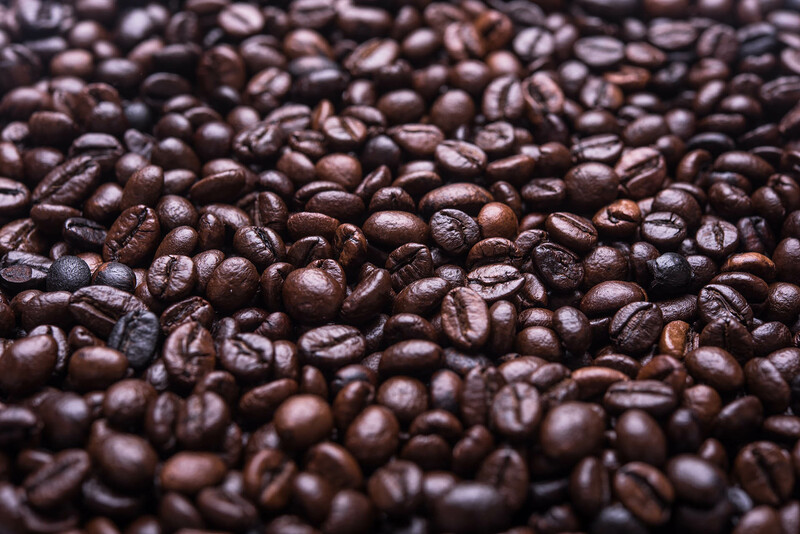 Countries in East Africa such as Ethiopia, Uganda and Kenya produce a fair amount of the world’s coffee beans. The ever expanding coffee culture will push on the demand for coffee beans, we should expect an increased interest in coffee agriculture and production in East Africa. We will start seeing Made in Africa coffee going main stream with the international market seeing the potential in African beans that were once deemed exotic. Aside from the traditional interest in coffee bean, there is a global demand of catering to the niche coffee speciality market. Retailers in North America and Europe are taking an interest in coffee beans and products that cater to and niche clientele this is seen with Amazon stocking Black Insomia, the coffee that is deemed to be the strongest coffee in the world, produced in Cape Town. Countries such as Rwanda, Uganda and Nigeria are working on boosting a coffee culture within their cities. African countries are no longer producing coffee beans mainly for exports but also producing coffee products to sell to locals. 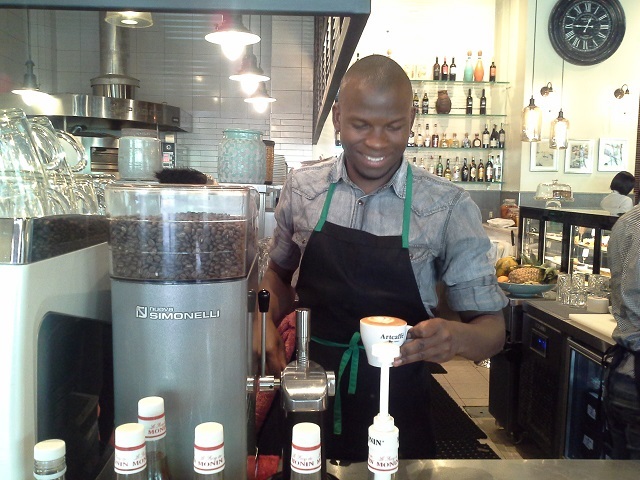 The growing well-travelled African middle class and the global trend of remote working gaining momentum in Africa, in cities such as Johannesburg and Cape Town are spearing heading the coffee culture pheromone. We will continue to see an inflow of local cafés in the East African region with cafes as Café Neo and Kaladi currently setting waves with the made in Africa coffee products. 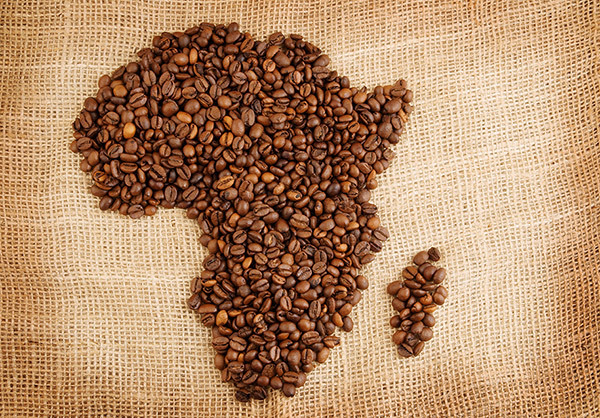 Below are some of the emerging and ongoing patterns within the coffee industry in Africa. African coffee brands are few and far in between, however the one’s that emerge within the coffee industry are not only monopolising on the production of coffee beans within their countries but are creating a channel that ensures various points of coffee production in Africa is sustainable and fair. Companies such as Vava Coffee in Kenya source coffee beans from a network of 30 000 local small holder farmers. Aside from supporting local farmers from purchasing coffee beans, Vava café and Good Coffee Africa look at training, up skilling small holder farmers in sustaining their coffee farms. Bantu Coffee has created a give back purchase structure, one year coffee subscription translates to 52 coffee trees given to farmers in East Africa. 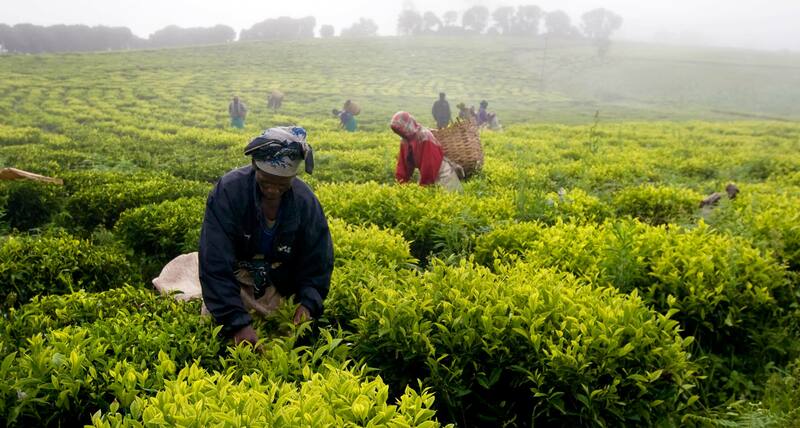 Organisations, governments and companies are taking note of the opportunity available in the sustainability of the coffee sector in East Africa. Rwanda alongside Mexico have taken on the Coffee Challenge which aims to make coffee agriculture eco-friendly. The Ugandan coffee industry plans to plant coffee bean tree’s that are resistant to the wilt disease in the next three years, this goes hand in hand with the goal of foresting 900 million trees by 2019 with the hope to boost the country’s coffee production by 2020. Great Lakes Coffee in Uganda is currently at work with moulding and grooming the next generation of coffee farmers through skills development in the Ugandan youth. While assisting coffee farmers with information in agriculture with a mobile subscription product. Cameroon coffee industry has taken interesting measures of encouraging a coffee culture in the country. The Coffee Hours suggested by the Cameroonian Coffee merchants in 2016 will see the Cameroonian administration consume locally made coffee. The coffee merchants have also suggested a local coffee testing point at Yaounde Nsimalen international airport, this will introduce tourists to the coffee flavours produced in the country. Innovative products and techniques are being up rooted in various cities to attract coffee consumers and expand to potential coffee drinkers. The Grind Coffee Company in Johannesburg aims to challenge the way we consume coffee. 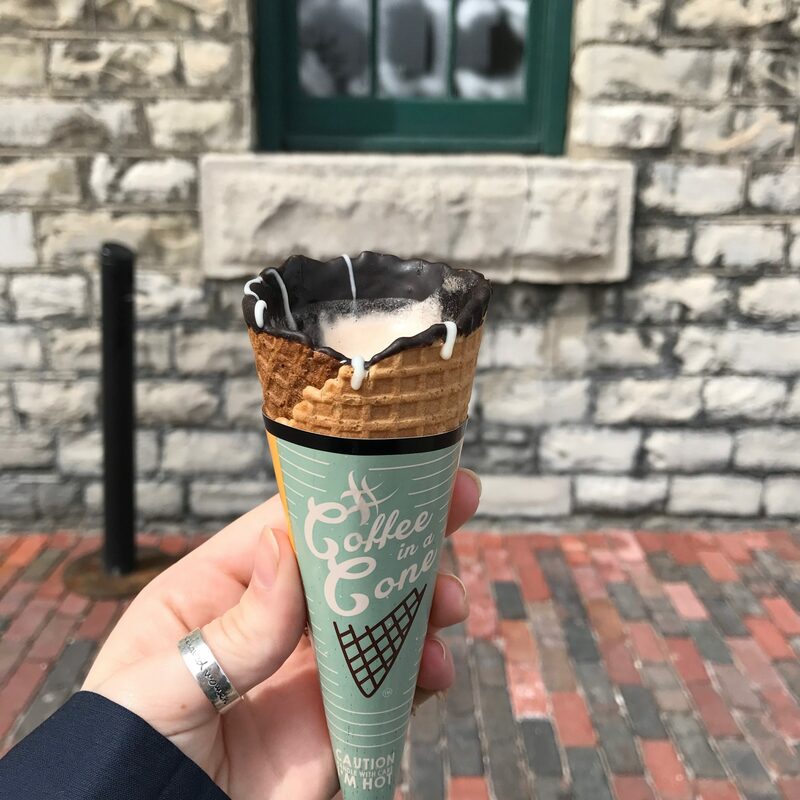 The creation of their popular coffee in a cone, saw the product gain much attention on Instagram, ranking as the third most searched concept in the coffee category globally. The company plans to open its menu by adding a drought latte which will join the milk based mocha green latte. The Coffee experience tour created by coffee farmer Huye in Rwanda has tapped into the tourism sector. The aim of the hiking trial across the Huye mountain coffee plantation is to take tourists through the entire coffee plantation and production process which ends with you roasting your own cup of coffee. The tour opens tourists to the local coffee industry in Rwanda and the taste of Rwandan coffee. Cameroon Boyo have expanded on their coffee bean process through creating a micro wash station in Cameroon for a select farmers. The process sees the brand create cherry dried and honey processed coffee beans which allows for farmers to branch into the niche, speciality coffee sector. International company Nespresso has joint forces with the World’s bank international finance corporation ( IFC) to invest $6 million in a project aimed at assisting coffee farmers tackle climate change in East Africa. Nespresso also aims to assist 40 000 farmers in Ethiopia and Kenya with technical and financial support and sustainable practice of reforestation.